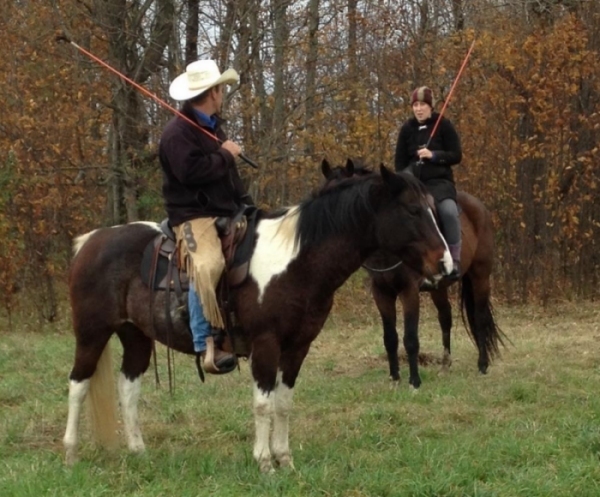 Specifics - ground skills, riding, trail riding, driving, liberty, trailer loading. Lessons are offered on a regular basis, in the form of private, semi-private or groups. The duration is 1 to 3 hours long. It is intended to address a specific challenge you and your horse maybe having, or as part of a regular program to progress your learning to achieving your goals or purpose. Learning natural horsemanship is not an easy endeavour, primarily because you are trying to learn and teach at the same time. To add to the level of difficulty you are trying to teach a prey animal and overcome your innate predator tendencies. Lessons provide you with much needed support and speed the process exponentially.